The special schedule is available to download. Feel free to print it out and put it on your fridge! Mrs. Kate Wheeler is excited to be going into her seventh year teaching art at Governor’s Ranch Elementary School. Originally, from the suburbs of Chicago, Mrs. Wheeler moved to Colorado to attend college at the University of Denver, where she earned a Bachelor of Fine Arts. After college, she worked various jobs—one of which led her to Belize where she taught art for a summer and discovered her love for teaching. She later returned to DU to get her teaching certificate and earning a Master in Arts Integration. Mrs. Wheeler is married to Mike Wheeler and has two daughters, Rose (5) and Keira (4) as well as a blue heeler Australian cattle dog, Brooklyn. Mrs. Wheeler is an avid sports fan, closely following her Chicago teams. She loves being outdoors, keeping busy by hiking, camping, skiing, and playing recreational sports. Erica Brinkman is excited to start a new year at GRE! This is her seventh year as the Music teacher at GRE, her 15th year overall. Originally from The Netherlands, Mrs. Brinkman moved to the United States at 18 years old, ready to pursue a career in Music Education. After graduating from Metropolitan State College, she went on to get her Master's degree in Integrating the Arts. Mrs. Brinkman has been married to Wade for 12 years, and they have two sons: Sammy (11) and Jack (10), who both attend GRE. 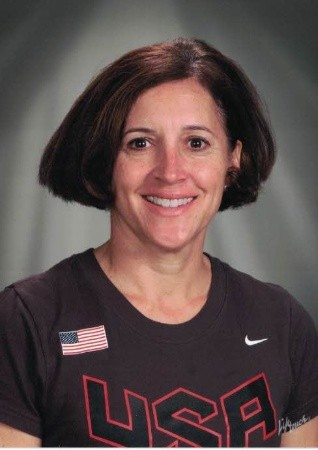 When she is not teaching music, Mrs. Brinkman enjoys hiking, scrapbooking, and traveling. Interesting fact: because of her European background and desire to see the world, Mrs. Brinkman speaks five languages! Ms. Gutierrez teachs PE at Governors Ranch Elementary. She was born and raised in San Antonio, Texas and pursued her undergraduate and graduate degree at Pepperdine University in Malibu, CA. She moved to Colorado to pursue her teaching and Olympic Career. Jennifer is married to her husband Ben Hughes and has two boys: Ethan 13) and Aiden (14). She keeps busy skiing with her family and is an avid mountain and road cyclist. All she can say about teaching is she loves to teach Physical Education and she picked the best career to keep happy. Check out our Raccoon Video for all that you need to know about Specials!